Damo proudly posing on the Big Red sand dune at the start of the Simpson Desert. 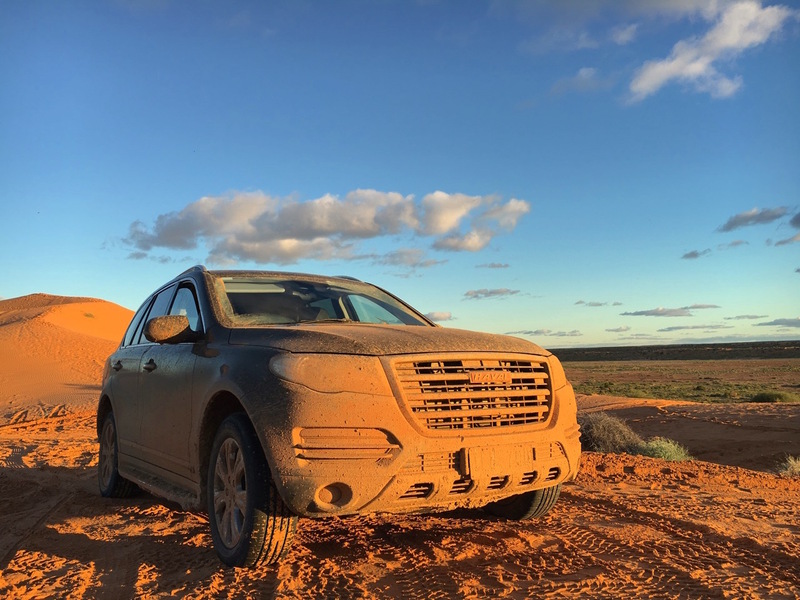 This is Part 6 of our Report on driving Damo, a Haval H8, into the Australian Outback to see whether the #1 SUV brand in China can deal with the worst road conditions this country has to offer. You can view the entire series here. 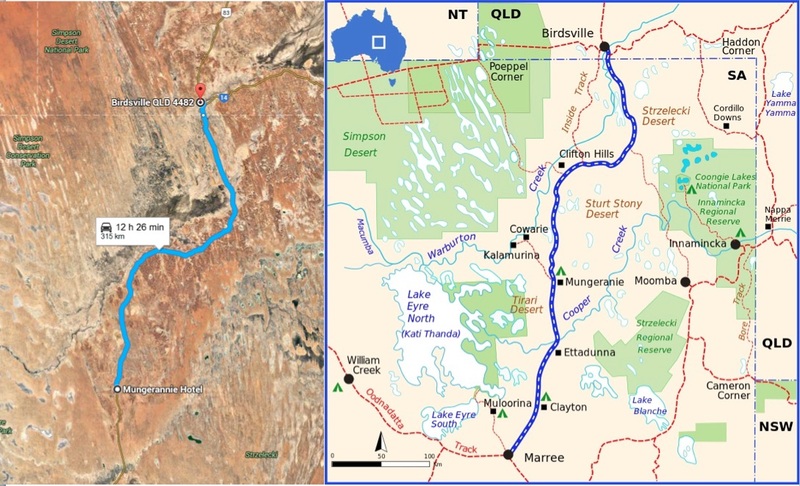 See also Part 1: The Stakes, Part 2: Sydney to Broken Hill, Part 3: Orroroo to Lyndhurst, Part 4: Lyndhurst to Moolawatana and Part 5: Moolawatana to Mungerannie. Morning dew welcomes Damo into a new day. Our itinerary for today and the complete Birdsville Track map by Google Maps & Wikipedia (click to enlarge). “Oh and he also said there were two trucks that stopped and didn’t dare go any further, just before Clifton Hills. But you’re much lighter, so you’ll be fine.” If you say so. Phil sums it all up: “Look, it’s going to be wet, there’s no two ways about it. But at Clifton Hills you gotta be careful: there may be cattle on the road.” Pam: “They would be coming from the right-hand side, so keep your eyes peeled…” I don’t think I ever got more detailed directions before going on a day’s drive. Once again Clifton Hills, although it has a name and a location on the map (see above), is only a homestead with rarely a soul inhabiting it, not a village as Mungerannie (also spelt Mungeranie) is the only place with services along the track. “Shame you’re not staying any longer…” says Phil. I can’t help but raise my eyebrows. He explains: “I’ve got to drive to Adelaide tomorrow to sell our wool [turns out Phil’s skills also include wool shearing]. Would be a nice little trip with Pam, but we never do this stuff together.” Being the only services on the Birdsville Track, Phil and Pam just cannot have a joint day off and close the Station as travellers rely on them for petrol, food and accommodation. 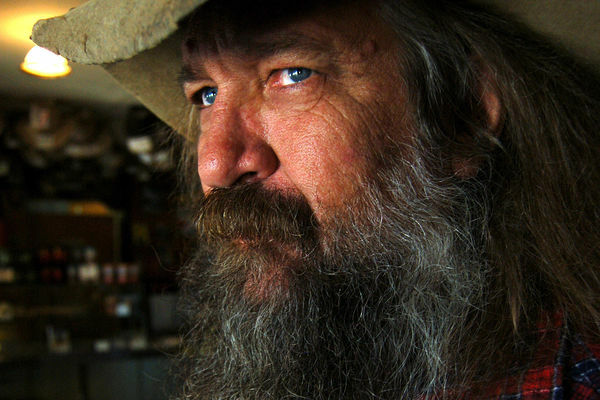 “But there’s a few retired couples staying at the moment, real nice people. I was going to ask them if they wouldn’t mind looking after the joint for a coupla days while we’re away…” I say he should definitely ask. He smiles. Camels were very shy and admired Damo from a distance. It’s time to go. A thick fog has enveloped the Station as if to discourage me from leaving and, weirdly, it seems the temperature has gone further down a few degrees since I got up. It’s 10°C now (50°F), but it seems much colder. “Got a sat phone?” Phil asks. Nope. He sees I’m wearing shorts. “Got long pants at least?” Yup. “Ah thank God, you’ll be fine then”. Pam laughs. “Good luck on the Track!” They both wave goodbye, with their coffee in the other hand. Birdsville Track, the morning of Day 2 (click on any picture to enlarge). The fog dissipates after a mere 10 minutes, giving way to the sunniest day I’ve had on the trip so far. If the track was graded dirt and rocks on Day 1, today it gets softer with bull dust and sand becoming more and more frequent as I drive north, as illustrated on the pictures above. 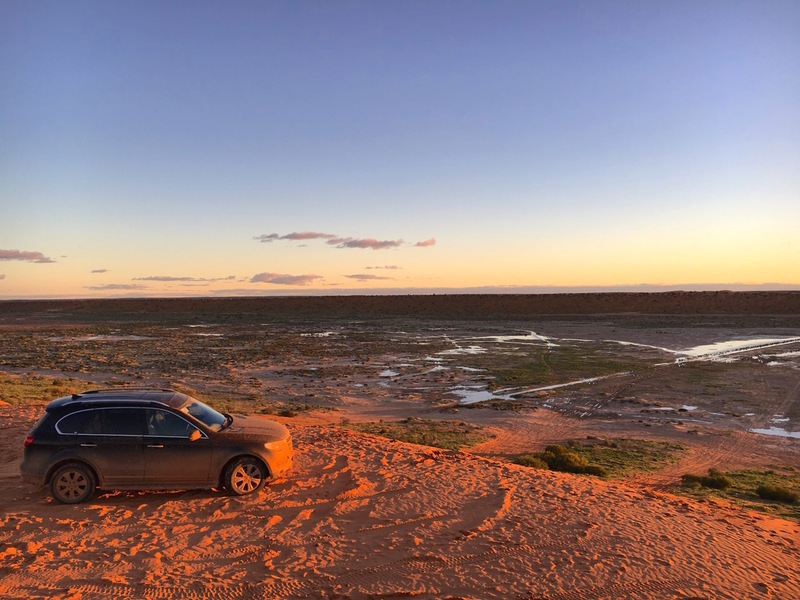 Apart from a muddy section just after Marree, the Birdsville Track has been kind to me so far, so much so that I have been able to lock the car into Eco mode (normally reserved for highway driving) in order to limit fuel consumption. 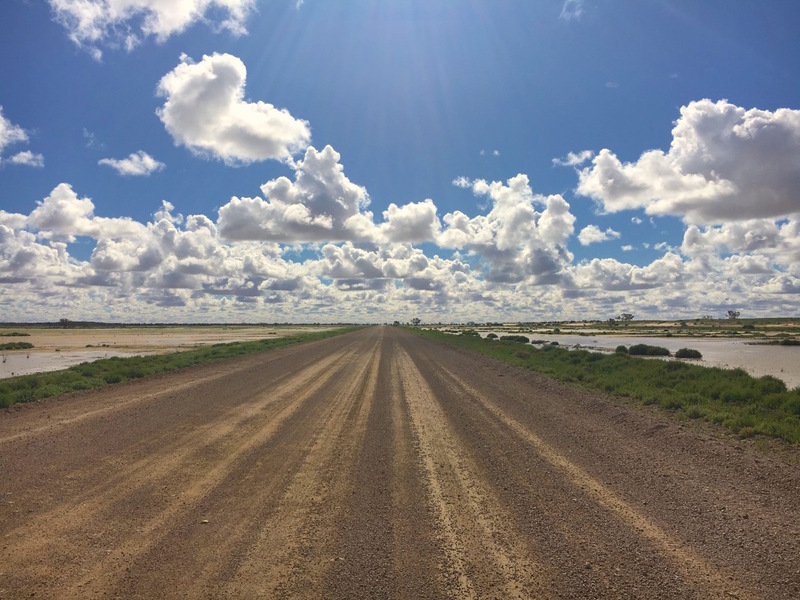 Google maps says you need 12h26 to get from Mungerannie to Birdsville but I managed the trip in 5 hours including numerous stops to take pictures. Unsealed roads are still a mystery for most sat nav systems as well, as illustrated with Damo who can’t calculate a trip outside of bitumen. It still locates me perfectly along the track though. One of my first stops of the day was to try and get a herd of camels as close as possible to the car: I missed by a large shot as they were too shy and cautious to oblige. There are no kangaroos in this part of the country, the terrain is way too arid for them. 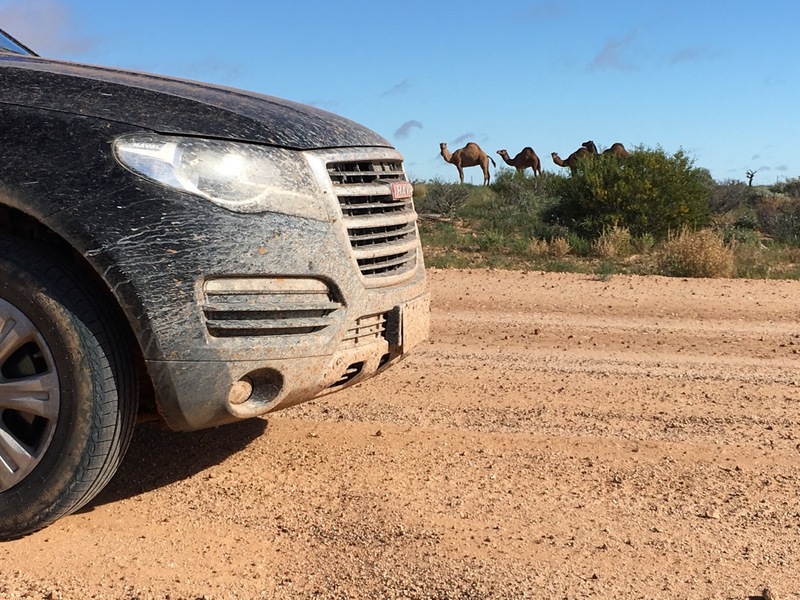 The Haval H8 came through where road trains stopped. Just before I spotted the camels, I crossed paths with a couple trekking along the Birdsville Track by foot! It’s actually the best time of the year to do so, as weather is not as stifling hot as during the summer months in December-January, but I’d much rather be in the comfort of my car when the heavens break into torrential rains… I pass signs for Clifton Hills without any mud, but just as I sigh from relief the treacherous terrain commences: probably the deepest mud of the entire trip, easily 25 cm/10 inches deep, with no real tracks to follow. Maximum concentration is required as this is in fact wet sand, a lot thiner and viscous than the mud I had encountered earlier in the trip. 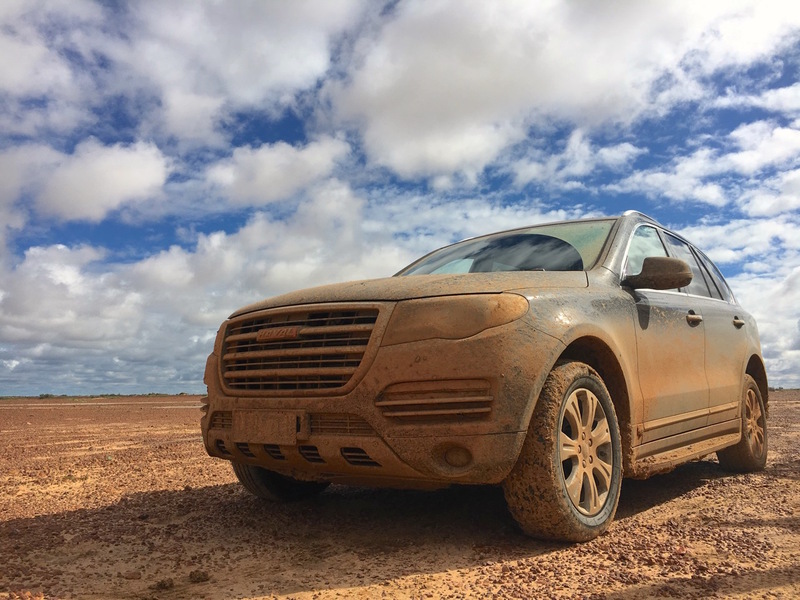 But once again the Haval H8 automatically engages into 4WD as soon as the car starts to slide. And slide it did, and until now I thought this was mainly because of my slick tyres. Not so: I crossed a heavily modified Nissan Patrol with all terrain tyres that was sliding as much as I was. Reassured. After the 15 km/10 miles-long patch ends, I spot the two stopped Road Trains Pam and Phil warned me about. A good photo opportunity. A land of big skies (click on any picture to enlarge). As much as I would have liked to try the shorter “Inside Track” linking Clifton Hills to Birdsville (see map further up), I could not as it has been closed for weeks now. After this challenging pass, the terrain changes again. The sun is now hitting hard and the track is back to dry-packed dirt and gravel. Perfect for pushing the Haval H8 to 110km/h or 70mph. It’s now a very smooth drive and the opportunity to test the 8-speaker audio system with my corny music tastes. I have a few tracks, such as 1990’s Technotronic “Pump up the jam” whose over-accentuated bass lines traditionally push the speakers of any car to the grave. Not Damo’s. He even seems to be enjoying the rhythm. Vegetation slowly creeps back into the landscape with fields of yellow flowers making their appearance, and the heavy rains of the past few days have created lakes on each side of the track. Damo crossing the Queensland border… …and arriving in Birdsville. 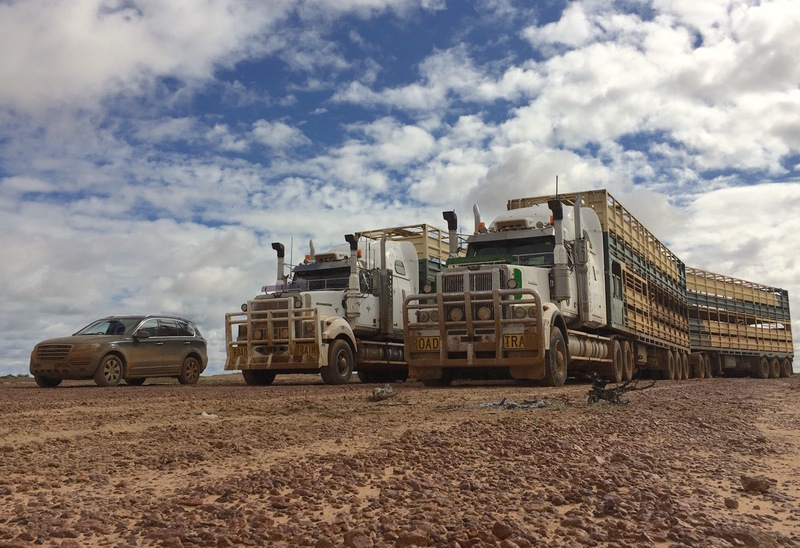 Before we know it, Damo and I soon cross the Queensland border and I am bracing for a bad patch of wet track that could prevent me from reaching Birdsville, as indicated by the truck driver I spoke with yesterday. Instead, we get… wait for it … bitumen! For the first time in almost 600km/370 miles. The end of the dirt track must have dried up since his passage on it. Arriving in Birdsville is hard to believe but easier than I expected, an achievement nonetheless. An iconic Australian settlement on the fringe of the Simpson Desert, Birdsville is one of the most remote places in the world. 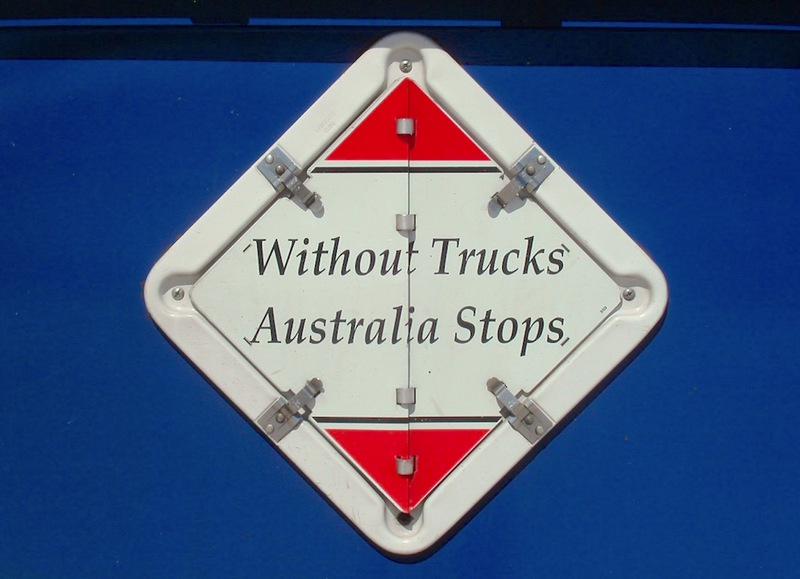 As I have now grown accustomed to in the Australian Outback, road conditions info is more reliably relayed by travellers than the – sometimes inexistent – phone and internet networks. 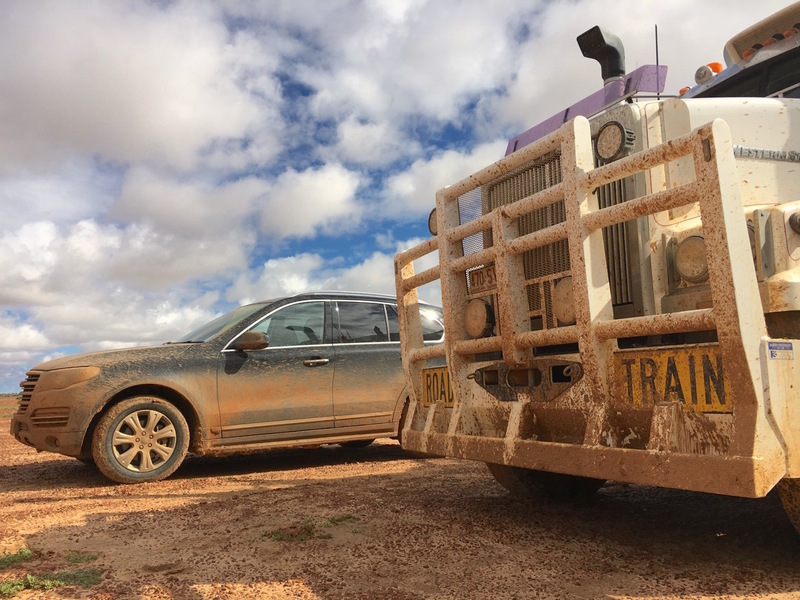 Accordingly, given I am one of the first vehicles to have made its way northbound on the Birdsville Track since the rain, I get eagerly questioned as I get out of the car to share the Track’s condition and where the tricky sections are. I am more than happy to oblige, suddenly feeling like a Hollywood actor being interviewed at the red carpet of the Academy Awards. Okay, not quite. Damo surrounded by the big guys in front of the Birdsville Hotel (click to enlarge). 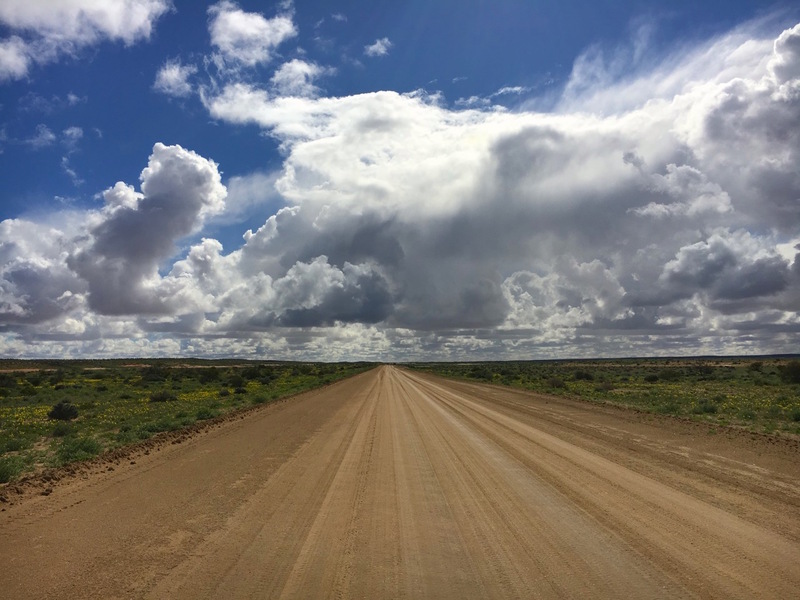 My first stop in Birdsville is the Wirrarri Information Centre as the Road conditions website I have been using until now to decide on my itinerary is limited to South Australia and we are now in Queensland. 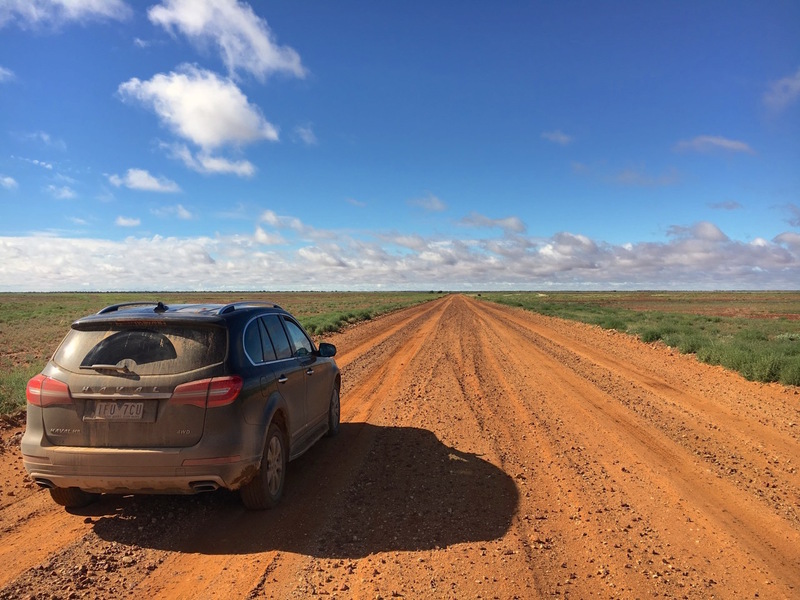 Upon checking the road maps there, I realise that the Marree-Mungerannie section of the Birdsville Track I took yesterday has since been closed to all vehicles, like a door shut right behind me. This means I drove on it on the first day it was accessible from Lyndhurst, but also on its last open day. 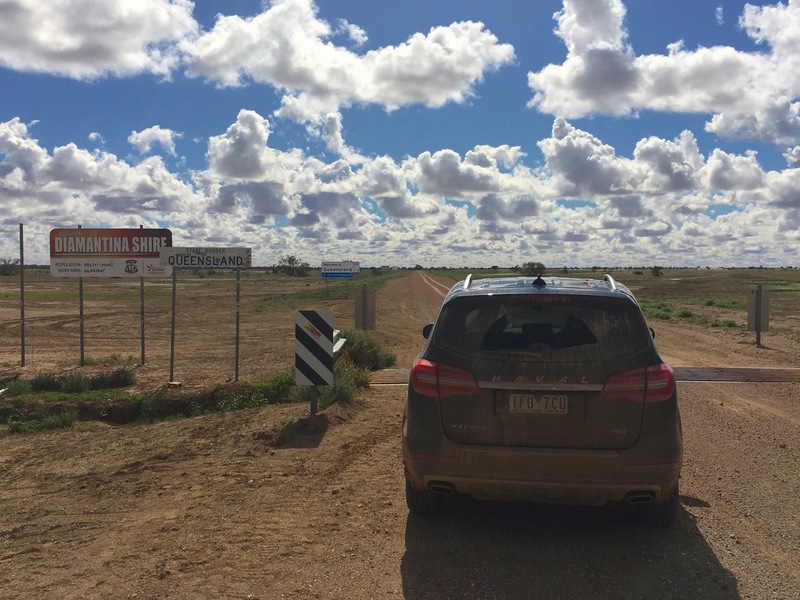 The window of availability to cross the Birdsville Track was only 24 hours and I took it – this is how thin my chances were of reaching Birdsville on this trip. It also means I can’t retrace my steps in case I get stuck here. And just as I process that thought, I also find out that the eastward track I was intending to take to continue my journey to Windorah is closed. 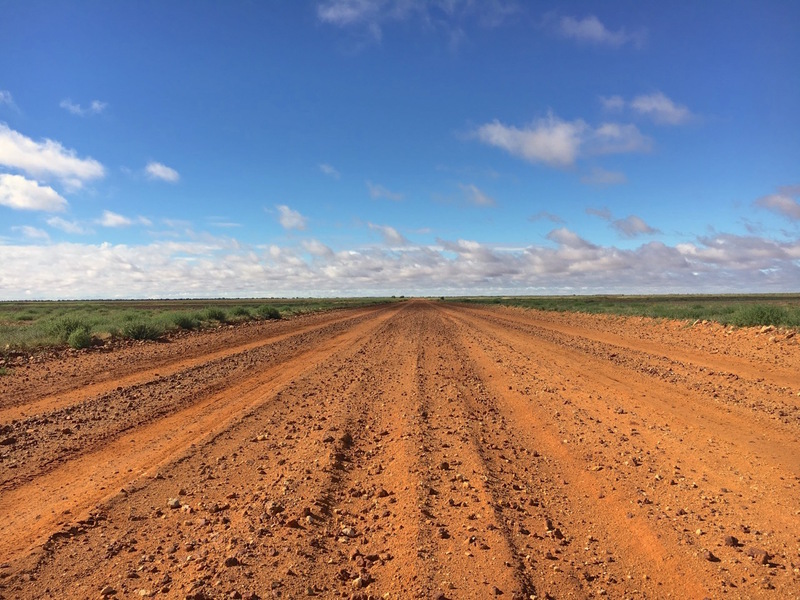 In fact, Birdsville is surrounded by unsealed roads for at least 200km/125 miles around. East its the closed track to Windorah (380km), South is the Birdsville Track I have just taken (517km), West is the Simpson Desert (550km to Finke) only accessible in convoys of at least two full-time 4WDs, and North is the track to Bedourie (190km), also closed. I am stuck in Birdsville today. 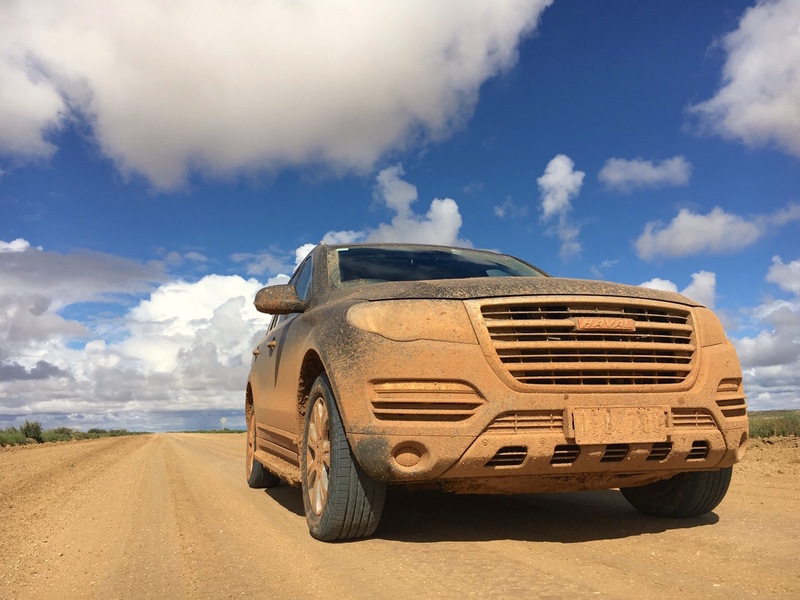 Damo is the only ‘normal’ SUV in Birdsville today. 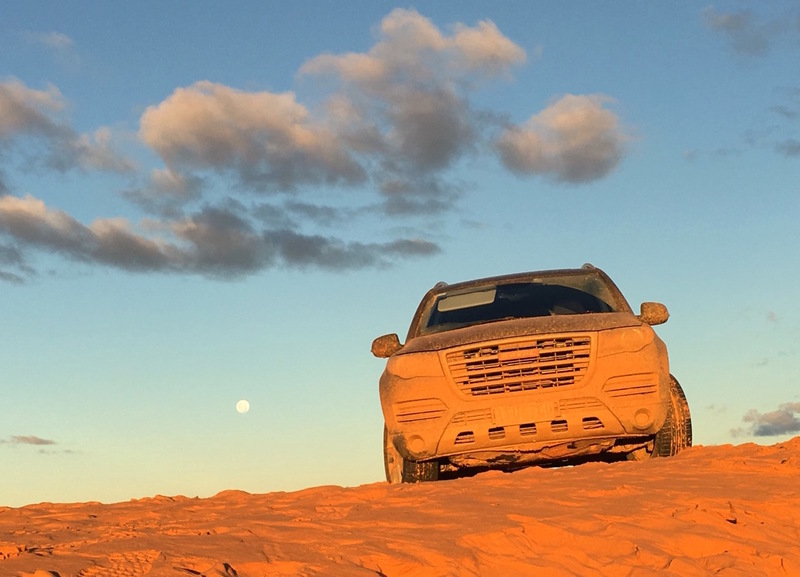 It’s not such a bad thing, as it finally gives me some time off after a few days of frantic – sometimes tense – driving through mud, sand, rocks and dirt on some of the world’s most isolated tracks. 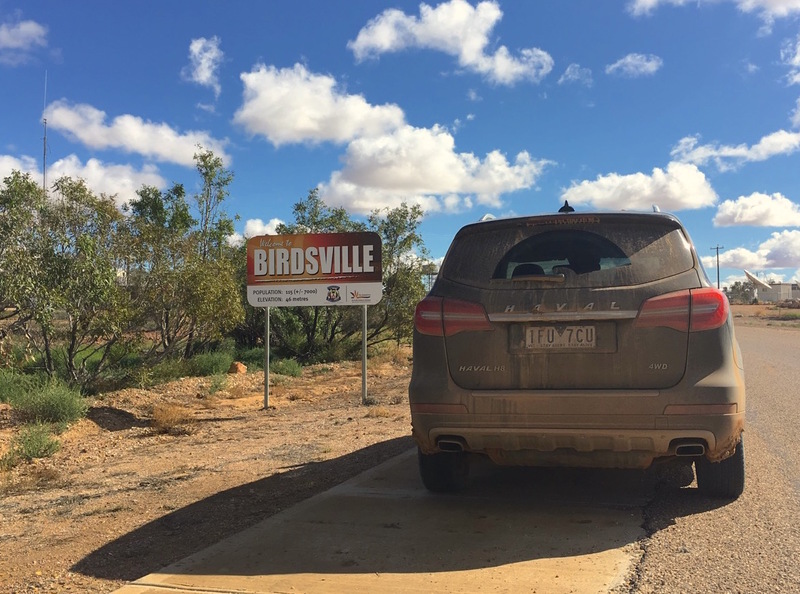 I can now take stock of what just happened: I have reached Birdsville through the Birdsville Track in muddy conditions in a Chinese all-wheel drive SUV. 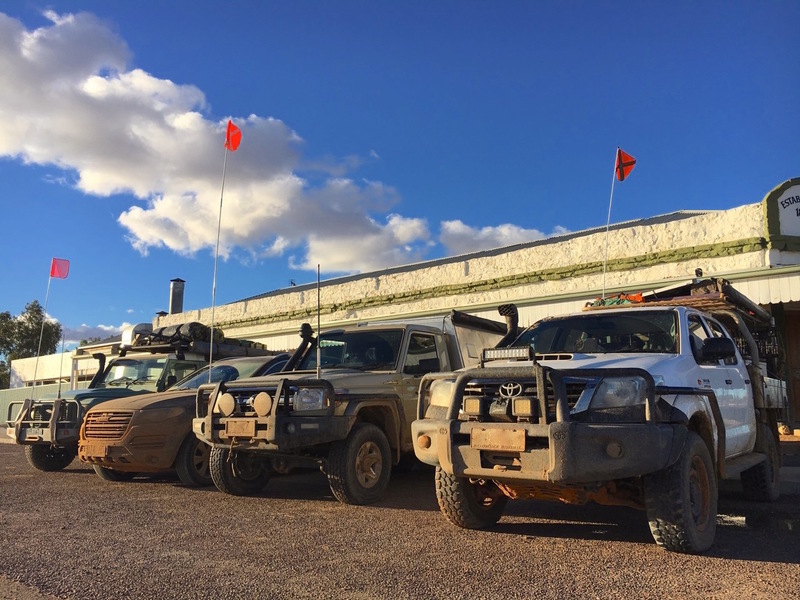 Almost all vehicles present in Birdsville today come from the adjoining Simpson Desert and are therefore heavily modified 4WDs complete with protective roo-bars, snorkels, dune flags and satellite antennas. People come to me, ask where I’ve come from and are impressed I did so through mud in a car they didn’t even know existed until today. I have to admit, this trip’s objective has been to check the Haval H8’s off-road limits and I don’t feel like it’s struggled one bit so far. I am genuinely impressed. Damo’s odo indicates 9.794 km, which means we have travelled 3.228 km – just over 2.000 miles – so far on the trip. More than one-third (1.127 km-700 miles) was on unsealed roads in treacherous conditions on tracks that had just reopened after rain that day. The fuel economy over the whole period has been 11.7 L/km. I did throw at Damo everything the road conditions could but he did not falter. 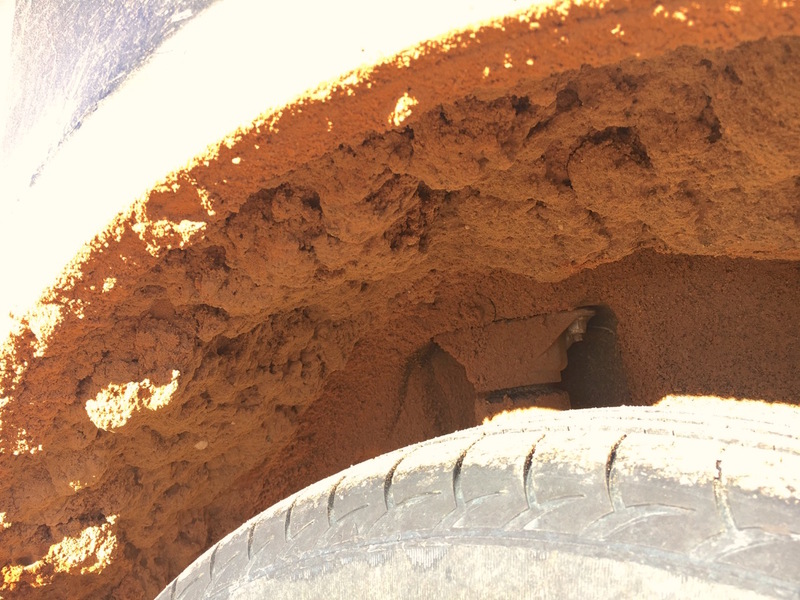 As you can see on the pictures, mud is now everywhere on the car, including inside the wheel arches in copious amounts, but there are no major technical issues to report as of today. 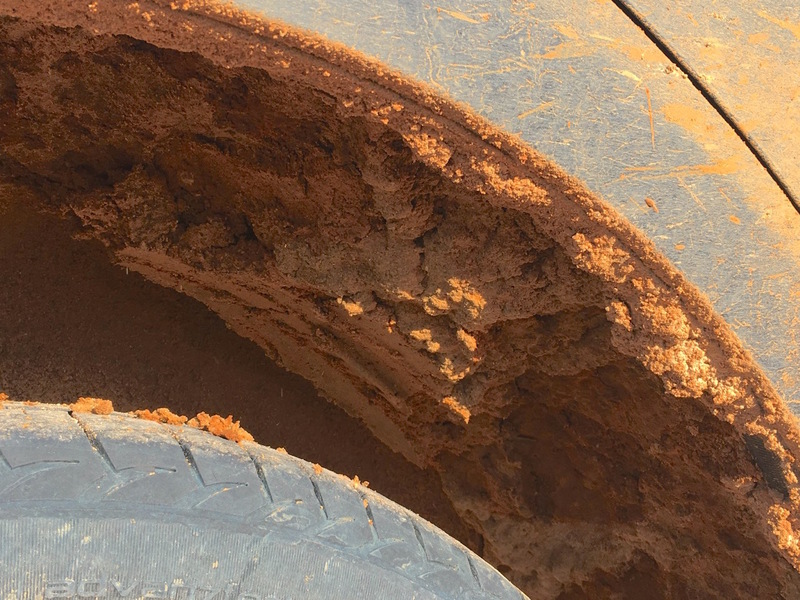 Above – the only damage to the car after over 1.100km of unsealed tracks. Not bad. 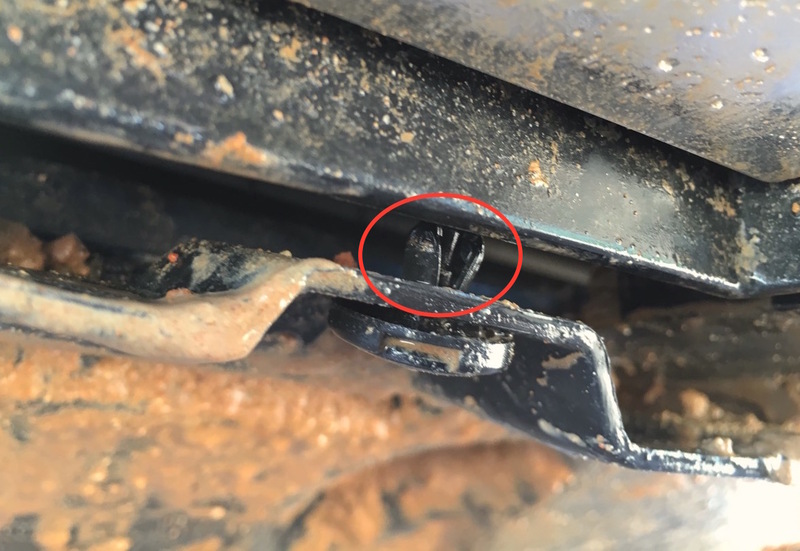 The only things that ‘broke’ were two plastic screws holding one of the underbody protection sheets: one is unhooked, the other one lost (see pictures above), taken by the huge amounts of half-dried mud that the car had to overcome along the trip. If these were metallic they would have stayed put, something Haval can easily fix in the next iteration of the model. 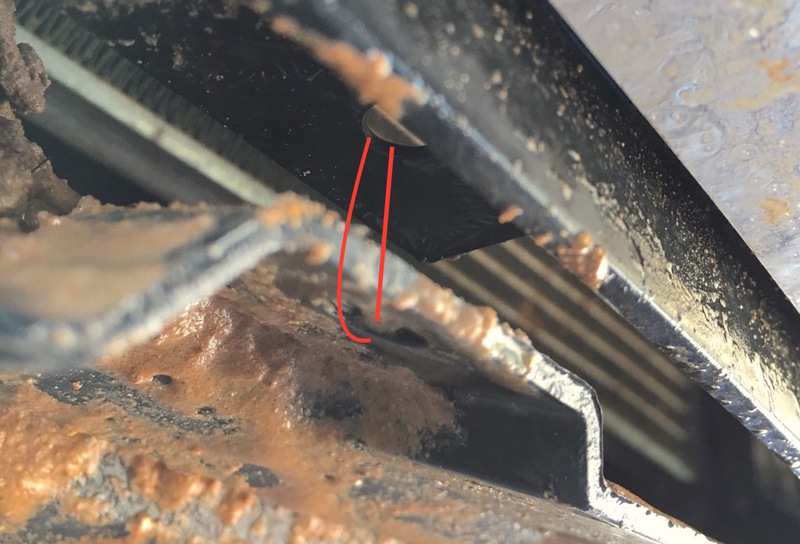 It does mean the sheet is slightly tilted down – by 2-3 cm (1 in) – allowing more mud to come in, but it is held in place by more robust screws on each side so I did not consider it mandatory to get it fixed on the spot. The mud covering the back of the car means two annoying things are happening: the boot can’t be opened as the sensor is obscured, and the reverse camera is inoperable. A good hosing the morning after fixed this. All-in-all, this is a very good balance sheet taking into account all the horror stories I heard and read of flat tyres on the Birdsville Track that left drivers stranded for days in the absence of rescue vehicle. 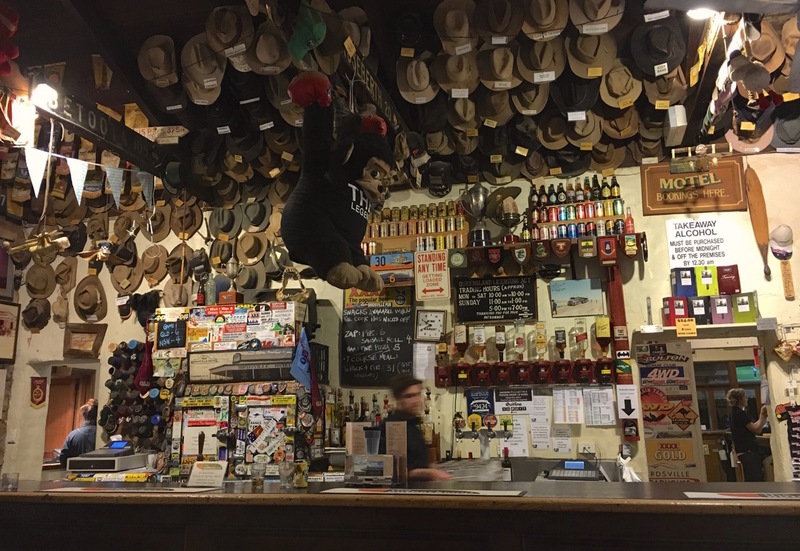 The bar at the Birdsville Hotel. Click to enlarge and read all signs. 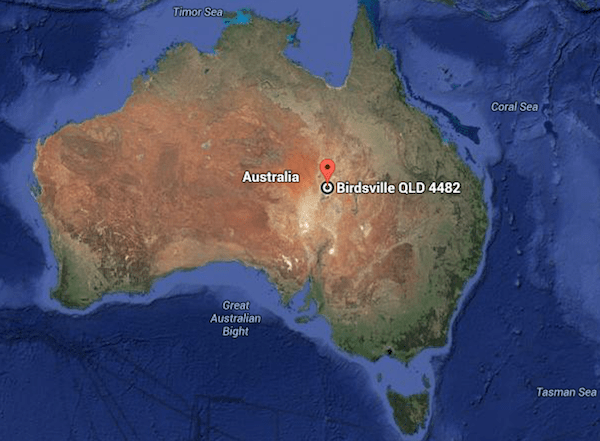 As incredible as it sounds given our remote location, high-speed wifi connection is available at the Birdsville Hotel, originally established in 1884. 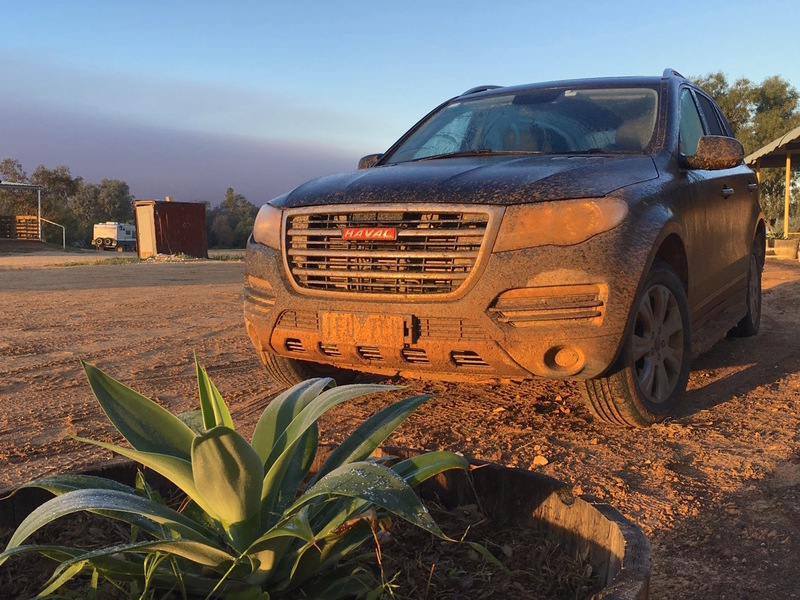 I Skype friends and family and email the guys at Haval to tell them where I am – until now, I had not shared any precise plans as I didn’t even know where I would be able to drive to. They’re ecstatic: “You don’t do things by half, do you!” That would be correct. The interior of the Birsdville Hotel bar is a larger, more commercial version of the Mungerannie one this morning. Some pretty funny signs hang on the wall, such as this special offer for a 7-course meal, composed of a 6-pack of beers and a pie. Luxurious. Being an actual city, the ambiance here is a lot less intimate but the food is delicious. Damo conquering Big Red. A spectacular sunset awaits. 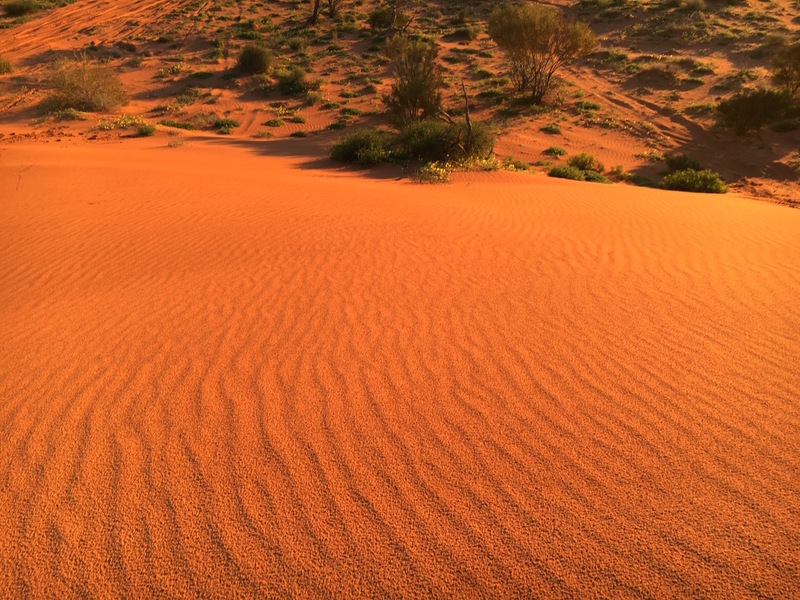 To top up this glorious day, I decide to drive the 40km west of Birdsville linking the town to the spectacular Big Red sand dune at the start of the Simpson Desert, a surprise present of sorts to Damo to thank him for taking me to the target location of this trip. The small amount of rain of the night before has packed the sand, making it easier to climb the giant dune, led by a clearly marked track. However while we were climbing, even modified high-clearance 4WDs nearly got bogged down as they ventured where the tracks were the deepest. Tired but smug, Damo looked on with a quiet smile. Watching the sunset on Big Red is every bit as magical and appeasing as it looks like on these pictures. Damo quietly watching the sunset on Big Red. 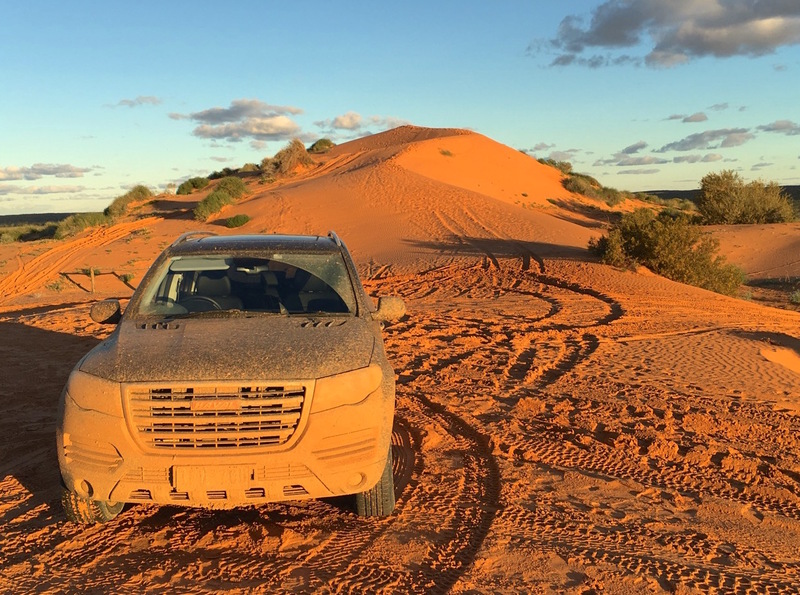 Fantastic work, Matt and Damo, to get all the way there – the mud-caked wheel arches were an amazing sight for an SUV like this! And I’m surprised the fuel usage was below 12.. A great outback story.